We are hiring OTR, Glass Division & Regional Company Drivers in the Carrollton, MS area! E.W. Wylie Now Hiring CDL-A Company Drivers in the Wilmington, OH Area! Guaranteed Pay! 100% Paid Medical Premium! APPLY TODAY! E.W. 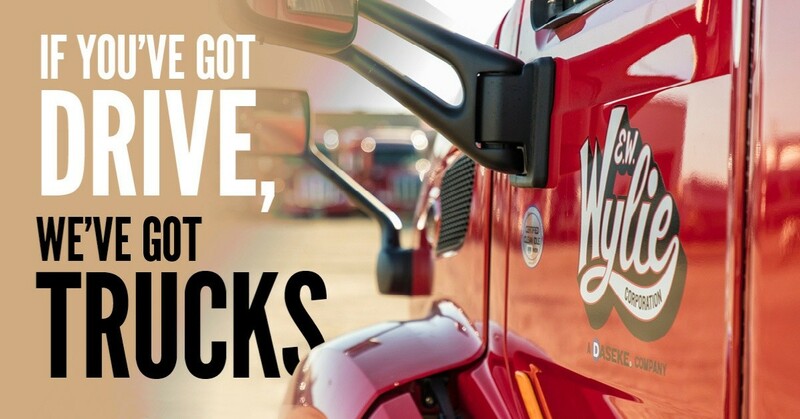 Wylie Now Hiring CDL-A Company Drivers in the Hardwick, GA Area! Guaranteed Pay! 100% Paid Medical Premium! APPLY TODAY! We are hiring OTR, Glass Division & Regional Company Drivers in the Greenview, IL area! We are hiring OTR, Glass Division & Regional Company Drivers in the Red Bay, AL area! We are hiring OTR, Glass Division & Regional Company Drivers in the Marion, KY area! We are hiring OTR, Glass Division & Regional Company Drivers in the Searcy, AR area! We are hiring OTR, Glass Division & Regional Company Drivers in the Sneads Ferry, NC area! E.W. Wylie Now Hiring CDL-A Company Drivers in the Chickamauga, GA Area! Guaranteed Pay! 100% Paid Medical Premium! APPLY TODAY! Since 1938, E.W. Wylie Corporation has been a leader in open deck transportation throughout North America. We offer our drivers diverse freight options and state of the art equipment. E. W. Wylie is known for hauling a variety of open deck freight. Our professional drivers may haul a tractor today and a load of pipe tomorrow. Our average length of haul is 1,100 miles and we have plenty of freight to move! E. W. Wylie is proud of their professional drivers and is looking for drivers to our join team. Together we are Wylie Strong!